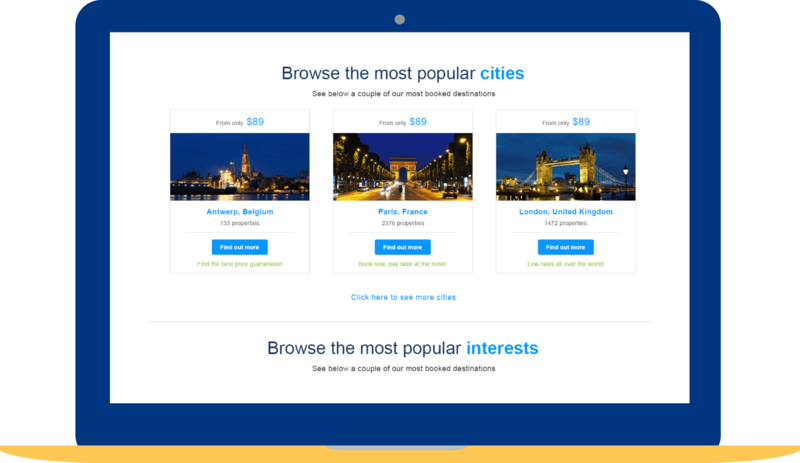 An extensive new webdesign proposal of the most visited pages, with a strong focus on the UX for one of the biggest brands in the world: Booking.com. Book Now, Pay When You Stay!With free cancellation on most rooms. At a certain point during the three years I worked for Booking.com, I came across the idea of creating a whole new web design, while also staying close to the initial visual guide of Booking.com. It was a project I fully did for developing my skillset. For this project, I designed every major page. From all the four booking-stage pages to the search results page. I also wrote out every design decision I made per page. If you're interested in reading those specific design decisions, please send me an e-mail. 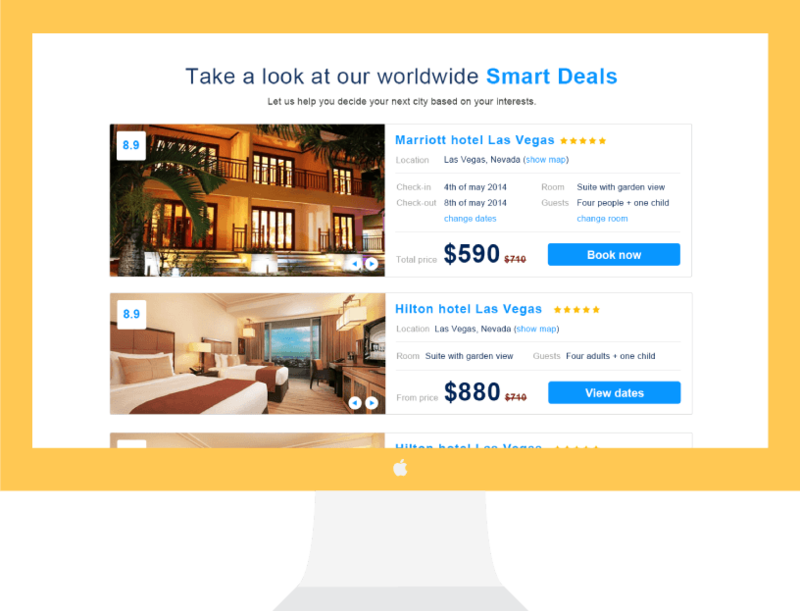 Booking.com is all about selling accommodations. Knowing this, my goal was to create a whole new design with non-existing elements to give it a new and refreshing look but also staying close to it's initial KPI's. One of the elements I added was the hotel selection block, ordered in three different categories best reviewed, best deal and best price. 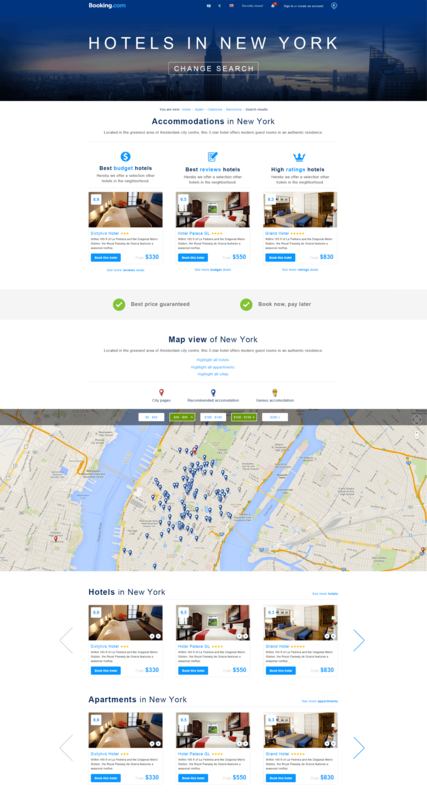 For the city page, I decided that users want to know the area before they can make the right decision for the right hotel. For example, city hoppers might want to have a spot in the city center, though people who are traveling for business might want to have a hotel in the area of an airport.